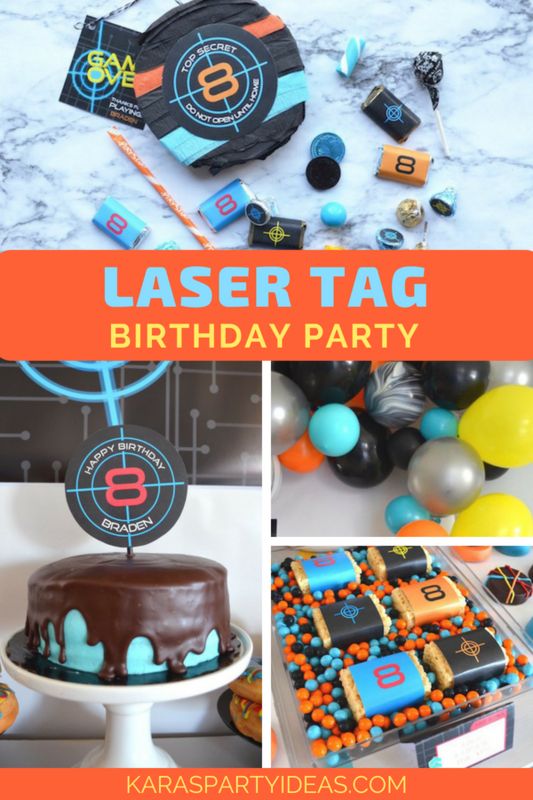 Grab your gear and power up, this Laser Tag Birthday Party is about to erupt! 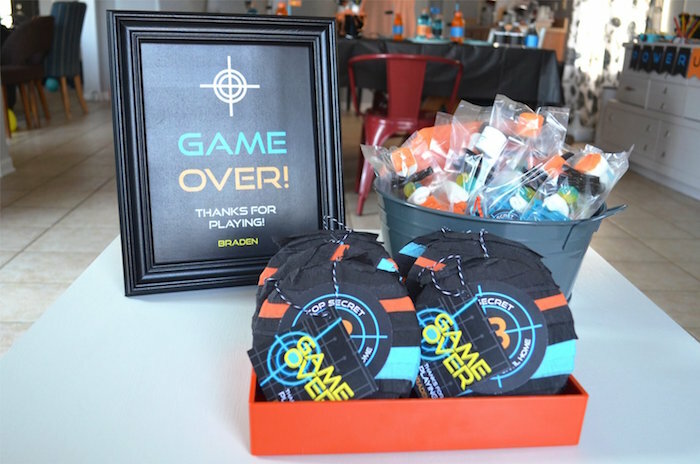 Bringing in bright colors and targets to boot, this bash by Rachel Pippi of Nestling Design, out of Round Lake, IL USA; is shooting all things cute! 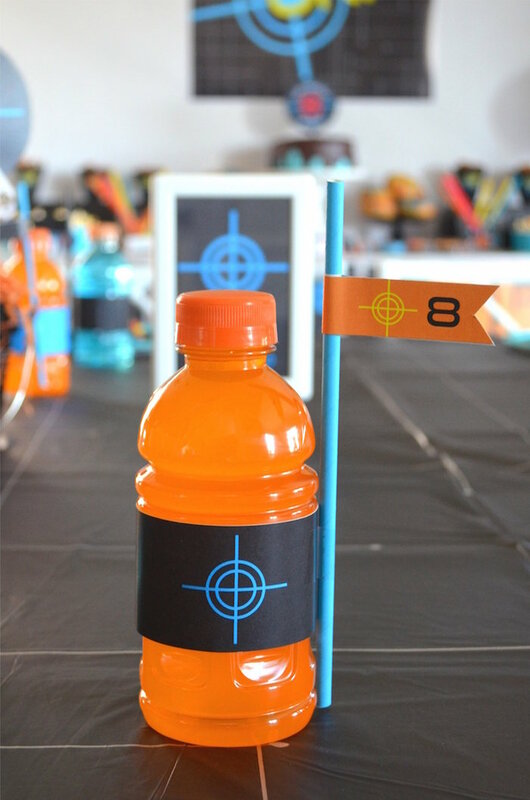 And Mini Target Pinata Favors! 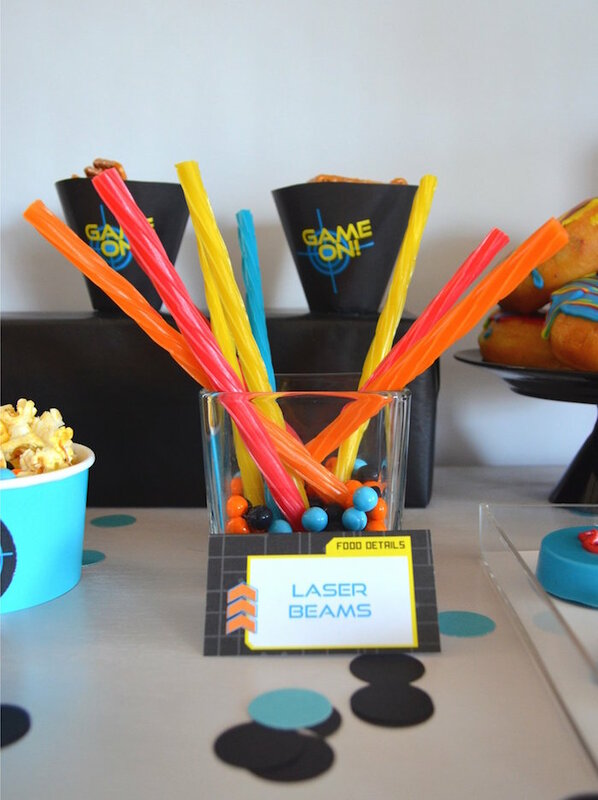 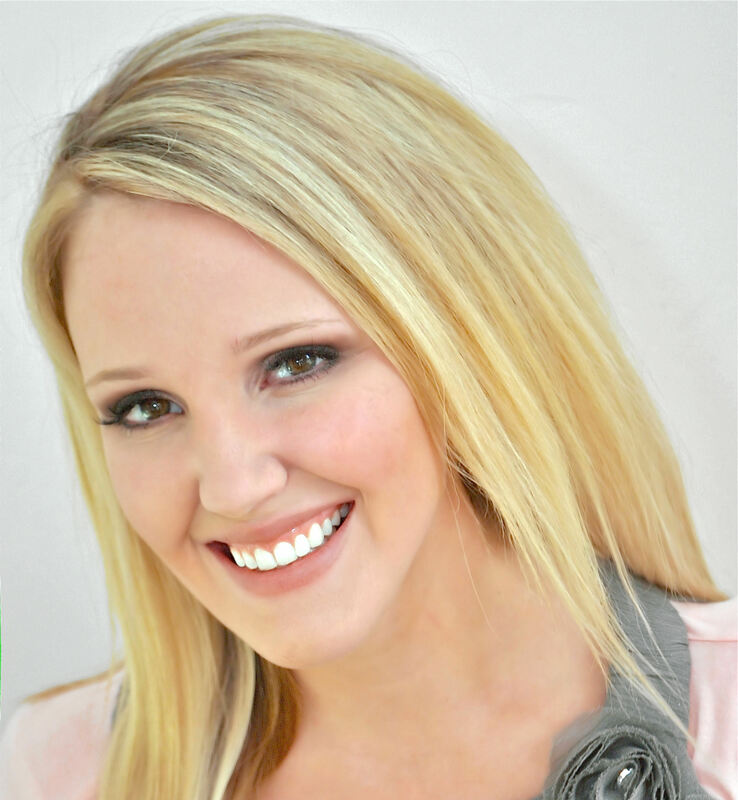 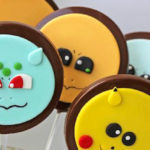 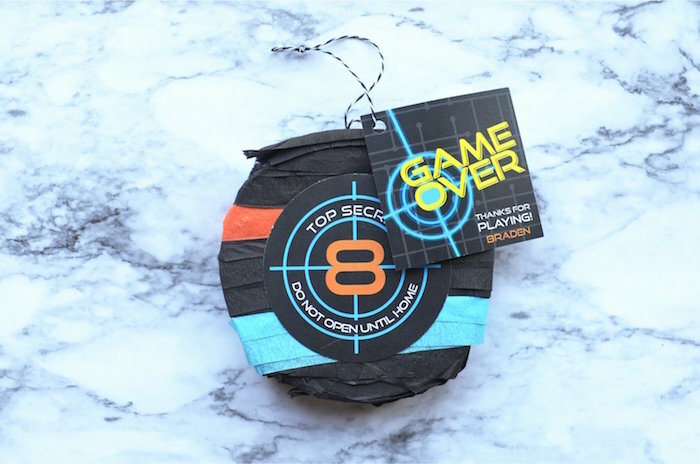 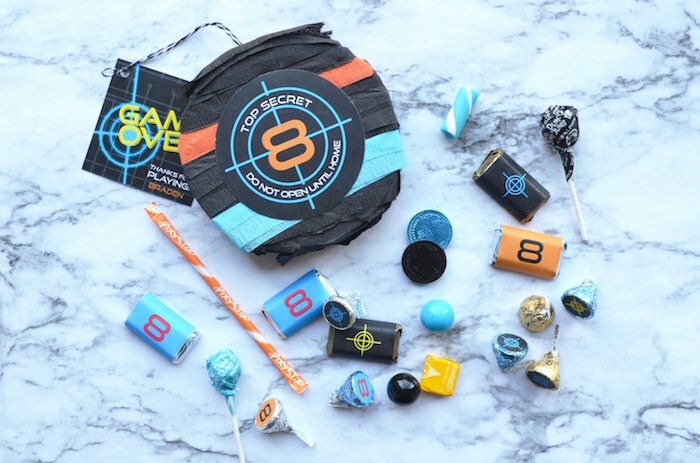 This is what Rachel shared about styling the party- “When our son decided he wanted to have a laser tag party, I knew we were in for a fun, colorful party. 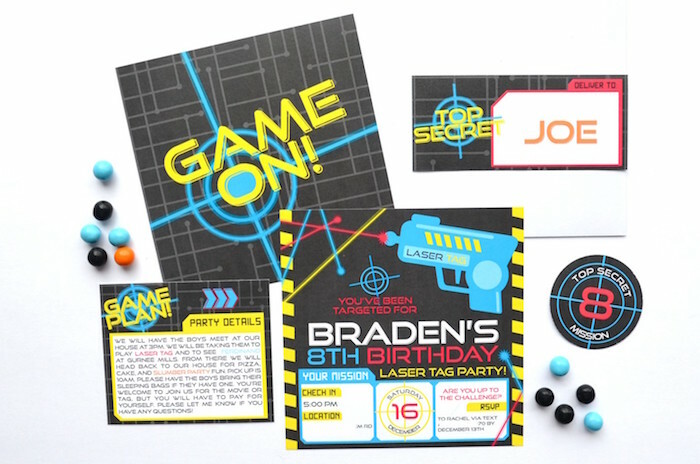 As soon as we started designing the set I envisioned having a square invitation with the graphic we used on the back. 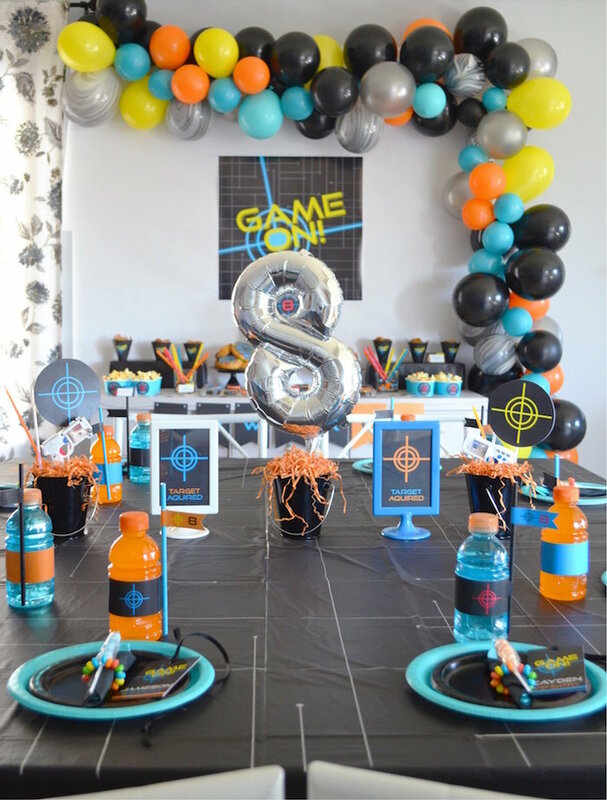 Since we would be taking the boys to the event and then bringing them back to our house for a sleepover, I knew having a small insert (our ‘game plan’) for those details would be important as well. 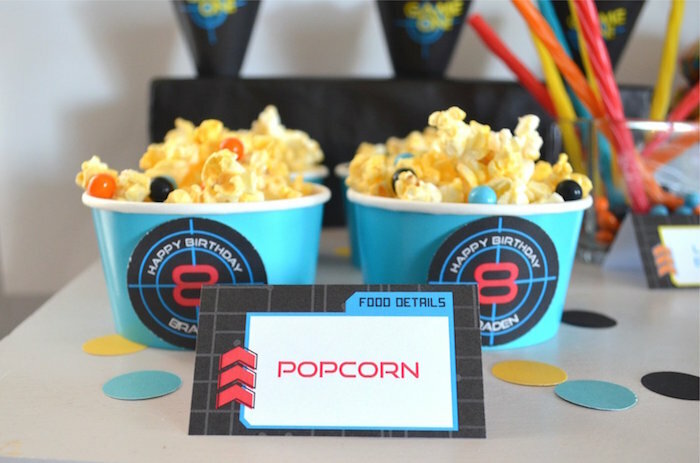 Upon arriving, each child was given a personalized VIP Pass. 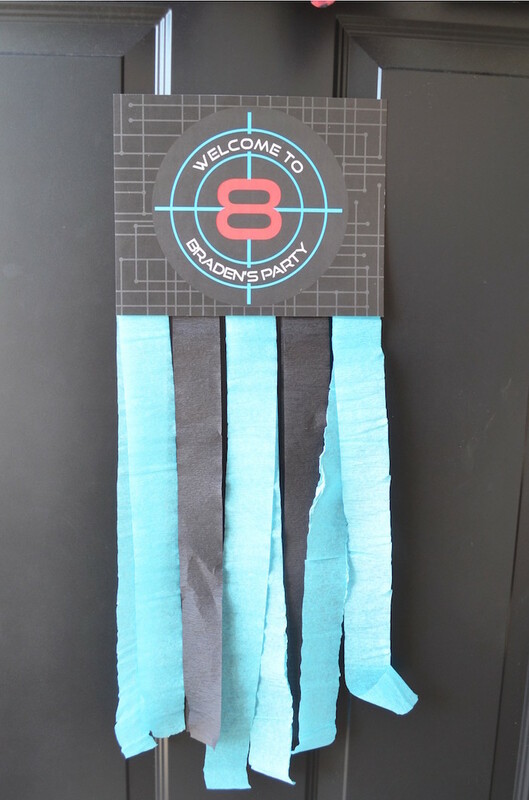 The boys loved this and it helped us keep track of our crew as they were running around the arena. 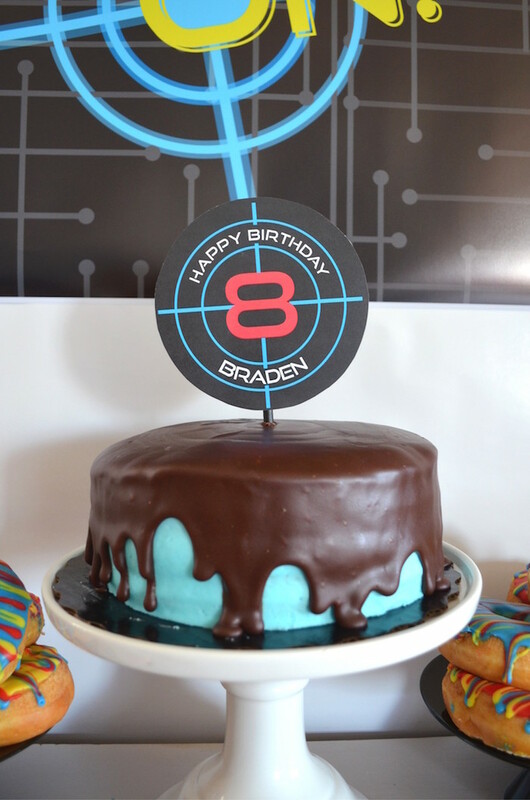 After laser tag we headed back to our house for cake and a sleepover. 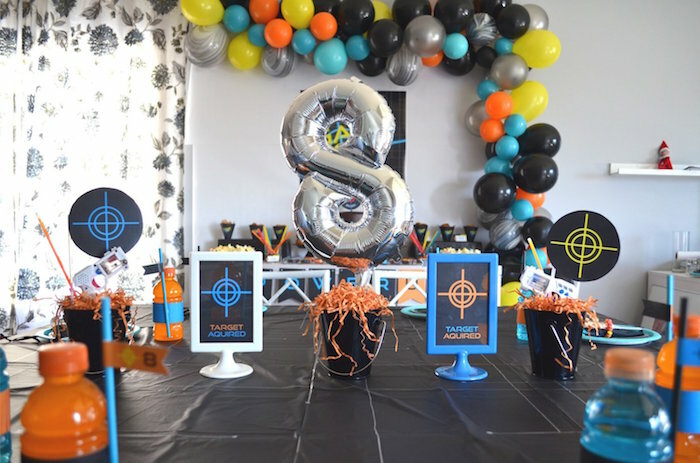 I am absolutely loving the stage of life we are in when it comes to our children’s parties. 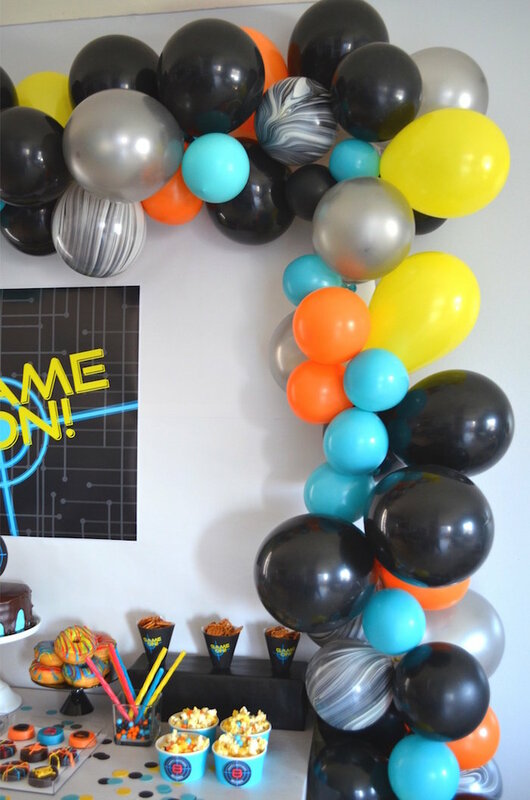 Having the ‘main action’ part of the party outside of our home means a) Less mess (um, YESSSS) and b) I don’t have to plan any games or activities – I can just focus all my energy on decorating. 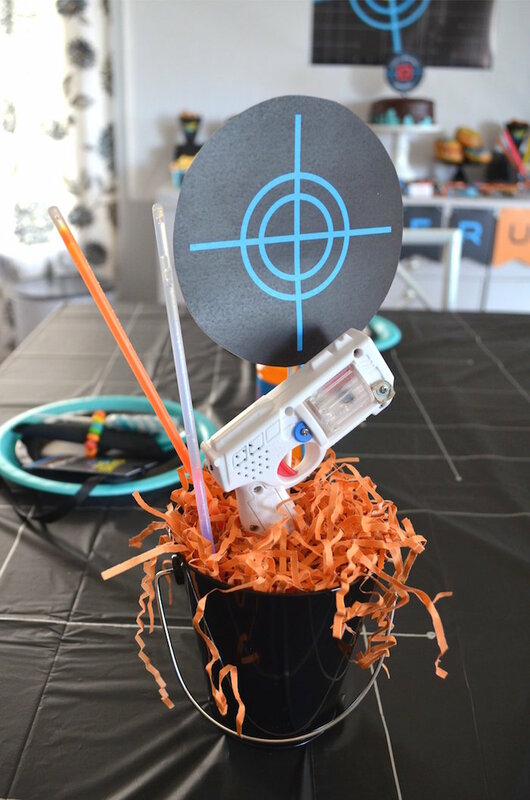 Which, let’s be honest, is the most fun part! 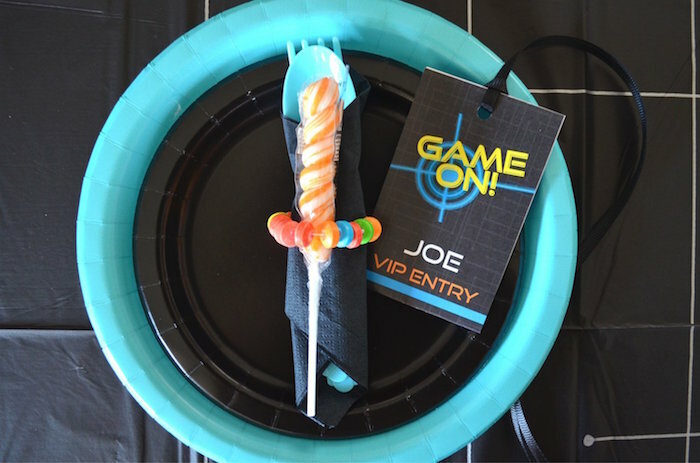 Balloon garlands are most certainly having a moment in the party world, and I knew right away that I wanted to incorporate a large one on our dessert table to really bring a huge pop of color and make a large statement. 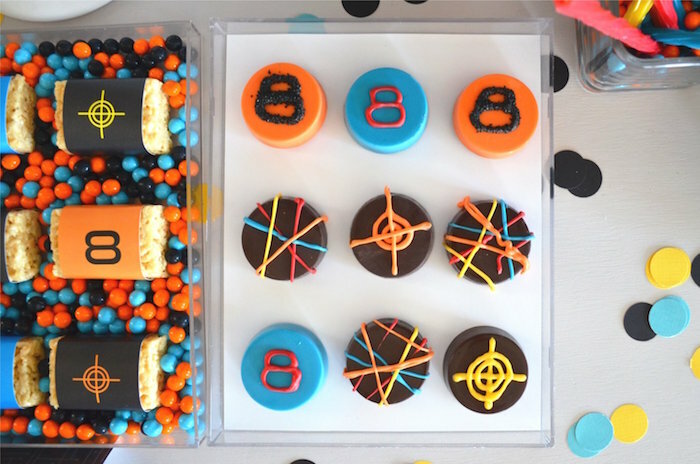 Building a dessert table for a sleepover, I put the emphasis on snacks (think popcorn, pretzels, etc) with a few sweets thrown in. 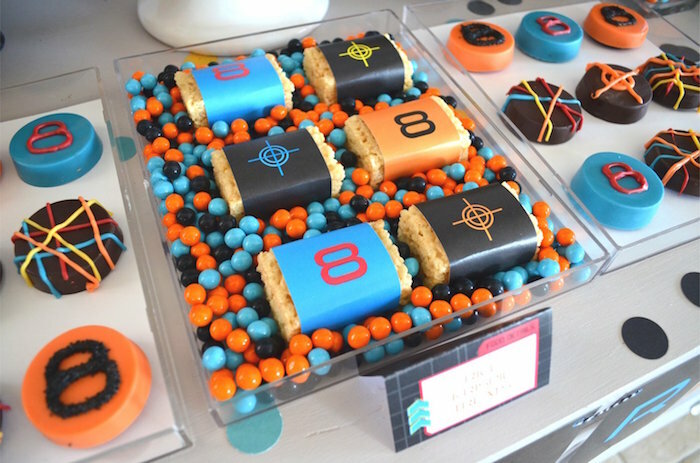 That way the kids could just grab a snack and carry on with their partying. 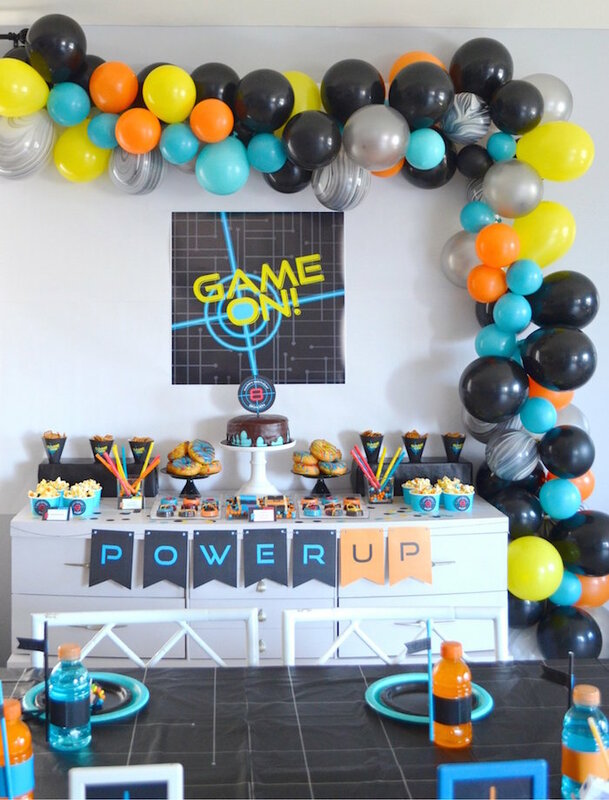 See all of our boy birthday party ideas here!